I was just thinking: since Mechagodzilla was built to fight the much smaller Godzilla of the past, won't the future Godzilla tower over it? I mean, if was built to be the same size as Godzilla then it'd be buzzing around Godzilla Earth (his name, right?) like oh-so-many fighter jets of the past - unless they made Mechagodzilla ridiculously large in the first place. Here's a theory: the new Mechagodzilla has size changing technology (like Jet Jaguar). Since I'm making such a bold prediction howsabout another: there's a time limit on this ability, adding a countdown clock element to the drama. lhb412 wrote: I was just thinking: since Mechagodzilla was built to fight the much smaller Godzilla of the past, won't the future Godzilla tower over it? I mean, if was built to be the same size as Godzilla then it'd be buzzing around Godzilla Earth (his name, right?) like oh-so-many fighter jets of the past - unless they made Mechagodzilla ridiculously large in the first place. You know, one aspect of Mechagodzilla and other giant robots built for the express purpose of fighting and killing giant monsters in general that makes less sense the more you think about it (like so much genre fiction in general, and that's part of what makes it so wonderful! ), is that they're always built to match the size of the monster(s) damn near exactly. From an in-universe point of view, if you live in a world where it's possible for things like this to exist and you have the technology and resources to construct a machine like this that's actually functional, and where the entire point is for it to serve as a giant monster killer; why not make it at least twice, maybe three times the size of the monster(s)? It could be pretty fun if, this time, they subverted that by building a Mechagodzilla that had a massive size advantage on its side - but then Godzilla conveniently ended up growing until he matched or even dwarfed it anyway! Ultra T-Rex wrote: From an in-universe point of view, if you live in a world where it's possible for things like this to exist and you have the technology and resources to construct a machine like this that's actually functional, and where the entire point is for it to serve as a giant monster killer; why not make it at least twice, maybe three times the size of the monster(s)? 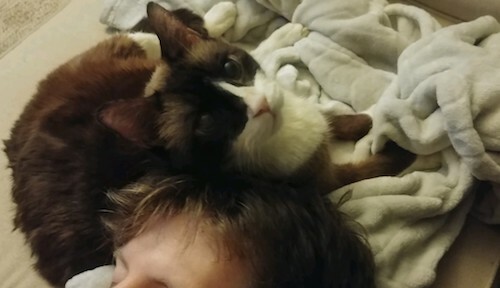 I'm guessing... budget? It's probably easy to convince the moneymen that your robot needs to be at least the size of its opponent, but once you start trying to bump it up they probably get sheepish. Mechagodzilla has always been just a little taller than Godzilla. I guess the black hole aliens, G-Force and JXSDF all thought it was enough. MG with size-changing abilities is something that needs to happen, if not in the anime sequels then in a future live-action movie. Finally got around to watching this......It wasn't bad IMHO. I didn't enjoy it on the same level that I did Shin Godzilla but nevertheless.....I didn't mind it as others here seem to be tearing it apart. Perhaps I'm just to easy going on movies anymore.......I'll watch the next two features for sure to see how a fight between a thousand foot Godzilla and a thousand foot Mechagodzilla pans out without the earth collapsing from underneath their weight. KaiserGhidorah wrote: how a fight between a thousand foot Godzilla and a thousand foot Mechagodzilla pans out without the earth collapsing from underneath their weight. 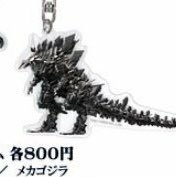 The 'Godzilla' aspect of this Mechagodzilla does not come through facing, but it's easy to see in profile and from above. 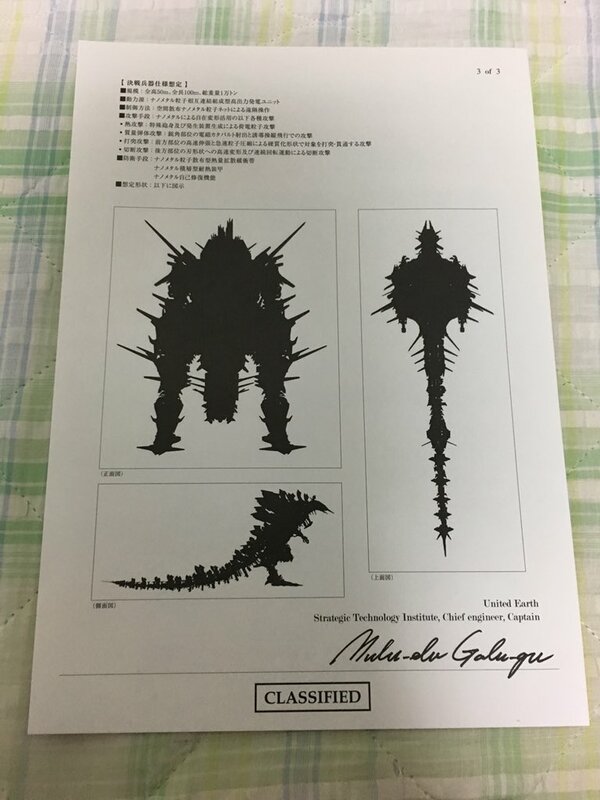 ^I can kinda look at it and imagine which spikes will be left out or consolidated or nerfed of whatever to make the toy. Movie's only a week away and we're just now getting our tiny pixilated looks at the metal boy! 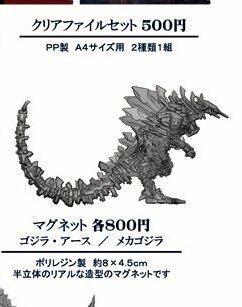 It almost looks more like a new moguera than mechagodzilla. It looks like a bunch of scrap metal junk hastily welded together. I don't like it. I'm really not into this Mechagodzilla design. It's pretty much just scrap metal, fins, and spikes welded into a Godzilla-shaped mess. (I guess I could've just quoted DannyBeane, but I digress.) I doubt it will come off better in motion, but I'm willing to be surprised. how long till toho gets off the bizarro juice. Henry88 wrote: how long till toho gets off the bizarro juice. You mean experimenting with different takes, different mediums, and different creative teams? Hopefully not for a while. 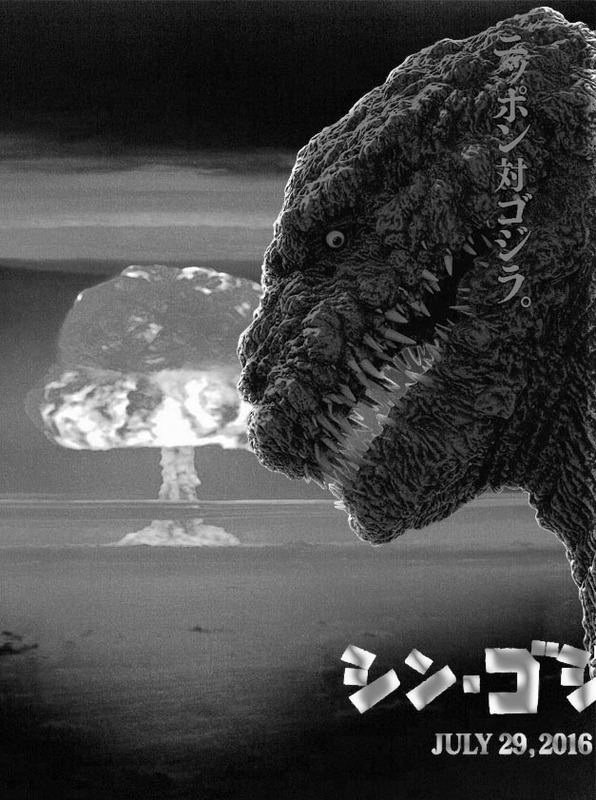 The MonsterVerse is serving up the meat-and-potatoes Godzilla, so Toho doing that would be rather pointless. Much as I'd rather literally punch myself in the face than sit through the anime again, and found Shin Godzilla to be Meh-tacular, I agree. ^And if they continue to experiment, they're bound to end up creating at least one thing you'll like! I mean, eventually! how about they just make Godzilla an actual king with robe and crown. I'd love a fantasy themed Godzilla movie. Something like a fusion of Godzilla, Daimajin, and a peppering Lord of the Rings. I want a series of Godzilla films that take place in space on different planets. Think Planet Hulk but with Godzilla. Then a film that depicts space Godzilla and King Ghidorah battling on a planet and Godzilla takes on a Yojimbo like role. Then the conclusion would be Godzilla gets expelled into a star but absorbs enough radiation on the way there and basically turns into Godzilla Galactus. I think a trilogy in space can get away with being really "out there" and fun. lhb412 wrote: ^And if they continue to experiment, they're bound to end up creating at least one thing you'll like! I mean, eventually! ...but there has been one thing common to both Shin and the Anime, and it's the general depiction of Godzilla as a monolithic mountain with no personality.